Natural gas is a hydrocarbon gas formed over thousands of years from the burying of dead plants and animals. The intense heat and pressure caused by the burying of this material triggers a reaction, which leads to the creation of natural gas, primarily methane (CH4) Canadian Association of Petroleum Producers (2015) "Natural Gas Development"http://www.capp.ca/canadaIndustry/naturalGas/Conventional-Unconventional/Pages/default.aspx Canadian Association of Petroleum Producers (2015) "Natural Gas Development"http://www.capp.ca/canadaIndustry/naturalGas/Conventional-Unconventional/Pages/default.aspx Canadian Association of Petroleum Producers (2015) "Natural Gas Development"http://www.capp.ca/canadaIndustry/naturalGas/Conventional-Unconventional/Pages/default.aspx Canadian Association of Petroleum Producers (2015) "Natural Gas Development"http://www.capp.ca/canadaIndustry/naturalGas/Conventional-Unconventional/Pages/default.aspx Canadian Association of Petroleum Producers (2015) "Natural Gas Development"http://www.capp.ca/canadaIndustry/naturalGas/Conventional-Unconventional/Pages/default.aspx Canadian Association of Petroleum Producers (2015) "Natural Gas Development"http://www.capp.ca/canadaIndustry/naturalGas/Conventional-Unconventional/Pages/default.aspx Canadian Association of Petroleum Producers (2015) "Natural Gas Development"http://www.capp.ca/canadaIndustry/naturalGas/Conventional-Unconventional/Pages/default.aspx Canadian Association of Petroleum Producers (2015) "Natural Gas Development"http://www.capp.ca/canadaIndustry/naturalGas/Conventional-Unconventional/Pages/default.aspx . Natural gas is referred to as ‘conventional’ when it can be extracted from the Earth either through naturally occurring pressure, or pumping mechanisms (CAPP). This is opposed to unconventional gas sources such as shale gas, tight gas, and coal bed methane which require novel technologies to unlock. Trap – The natural gas will continue to move upwards through the pores of rocks until it hits a rock that either does not have pores, or has pores that are not connected to one another. This rock is called a trap. Reservoir – The rock right below the trap that holds all the natural gas is called the reservoir. This is where natural gas is extracted from. Abandoning: After all the economically viable oil has been extracted from the well, the well is filled with cement to prevent any hydrocarbons from escaping and a special cap is placed over it to protect the area. Conventional gas tends to be less expensive and complex to extract than unconventional gas due to the routine nature of the production techniques. 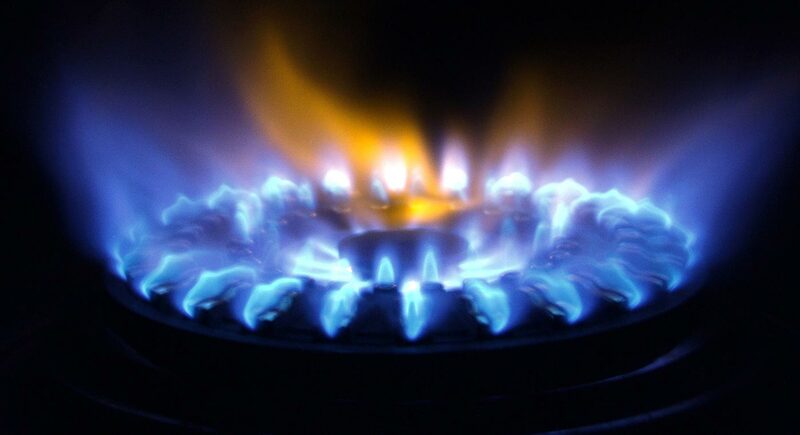 Historically low natural gas prices have led to the popularity of its use for power and heating. Generally, drilling and well abandonment are well-understood and regulated processes but there are always risks with such industrial operations. In drilling, pressure must be regulated carefully to avoid accidents and immediate environmental impacts like land disturbance. After abandonment, well leaks can occur if procedures were not carefully followed. One of the greatest concerns regarding the use of any fossil fuel, including conventional natural gas, is the emission of greenhouse gases United States Environmental Protection Agency (2015) "Natural Gas"http://www.epa.gov/cleanenergy/energy-and-you/affect/natural-gas.html United States Environmental Protection Agency (2015) "Natural Gas"http://www.epa.gov/cleanenergy/energy-and-you/affect/natural-gas.html United States Environmental Protection Agency (2015) "Natural Gas"http://www.epa.gov/cleanenergy/energy-and-you/affect/natural-gas.html United States Environmental Protection Agency (2015) "Natural Gas"http://www.epa.gov/cleanenergy/energy-and-you/affect/natural-gas.html United States Environmental Protection Agency (2015) "Natural Gas"http://www.epa.gov/cleanenergy/energy-and-you/affect/natural-gas.html United States Environmental Protection Agency (2015) "Natural Gas"http://www.epa.gov/cleanenergy/energy-and-you/affect/natural-gas.html United States Environmental Protection Agency (2015) "Natural Gas"http://www.epa.gov/cleanenergy/energy-and-you/affect/natural-gas.html United States Environmental Protection Agency (2015) "Natural Gas"http://www.epa.gov/cleanenergy/energy-and-you/affect/natural-gas.html . ^ Department of Mines and Energy (2015) http://www.nt.gov.au/d/Minerals_Energy/?header=What%20is%20the%20difference%20between%20Conventional%20and%20Unconventional%20Gas? Sorry, we do not yet have a video specifically for Conventional Gas. We are adding new videos to StudentEnergy.org weekly, but in the meantime check out this video on Natural Gas.